SKF has developed a stand-alone data logger system and crash detection system, SKF Machine Tool Observer MTx, especially for surveillance of machine tools and machine tool spindles. 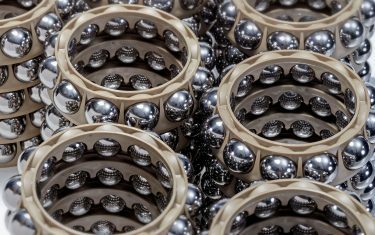 For high-volume precision manufacturing in industries such as aerospace and automotive, machine tools and spindles need to operate at high efficiency and availability to meet cost and performance targets. SKF Machine Tool Observer MTx is a sophisticated monitoring system that measures critical machine parameters. Combined with flexible software, OEMs and end users can monitor several machines simultaneously and prevent the associated cost of early failures. Industry has a growing need to increase productivity, machine availability, precision and reliability. As a result, it is increasingly important to avoid unplanned downtime, adopt effective main-tenance approaches and support quality and process improvements. The SKF Machine Tool Observer MTx is a stand-alone data logger system and crash detection system for machine tools and machine tool spindles that offers benefits to both OEMs and end users. The SKF MTx can easily be integrated into new machines or retrofitted as an upgrade for existing machines. The SKF MTx can log measurements from critical machine tools and is capable of collecting data from a wide range of sensors, such as vibration levels, speed, temperature, humidity, eddy probes and oil streak. The user and the machine control system are alerted if a value is detected that is outside the predefined boundaries. All events that exceed thresholds, or spindle crashes, are logged with an accurate time stamp and sensor values and are stored in a permanent flash memory. 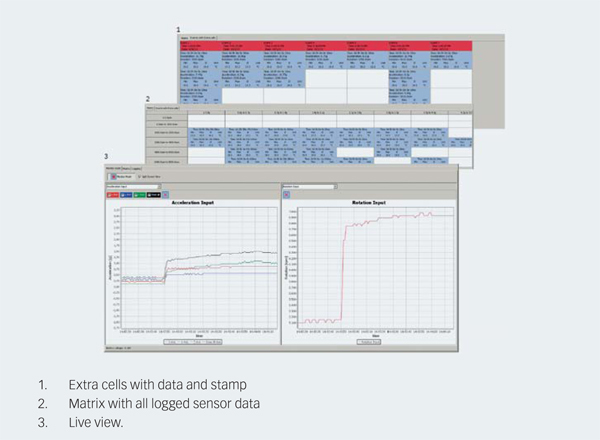 The SKF Machine Tool Observer MTx can continuously log data for a period of more than 10 years. 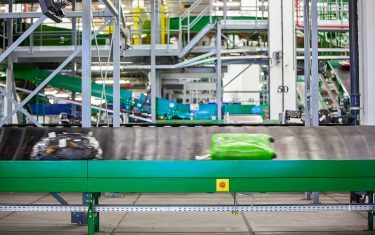 High-speed relay outputs can stop the machine in milliseconds, and the email warning system can immediately send a warning to the supervisor for a corrective action. A multilevel access system provides a high level of recorded data security, and the system also includes a server and client software package for live data display, data distribution and administration. provides feedback about overall usage of machinery. The new stand-alone data logging and crash detection device (fig. 1) actively monitors, records and observes the history and maximum events of machine tool spindles. 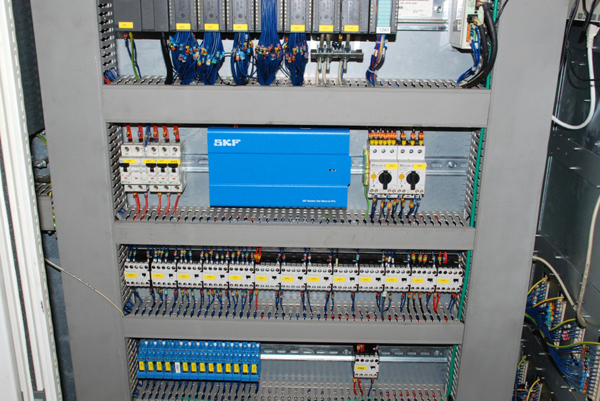 The system consists of microcontroller-based electronics with internal memory for data storage with a real-time clock. 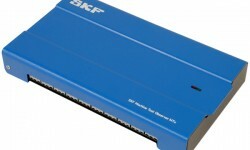 The signal processors allow a data acquisition time of 200 kHz, which means that every 5 µs the SKF MTx reads the inputs and samples the data. Every 10 ms the processors store the data into the on-board flash memory, so the system can detect any abnormal working conditions. 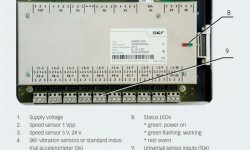 It supports a wide range of different types of sensors, where a maximum of 14 of these sensor types can be connected at the same time. 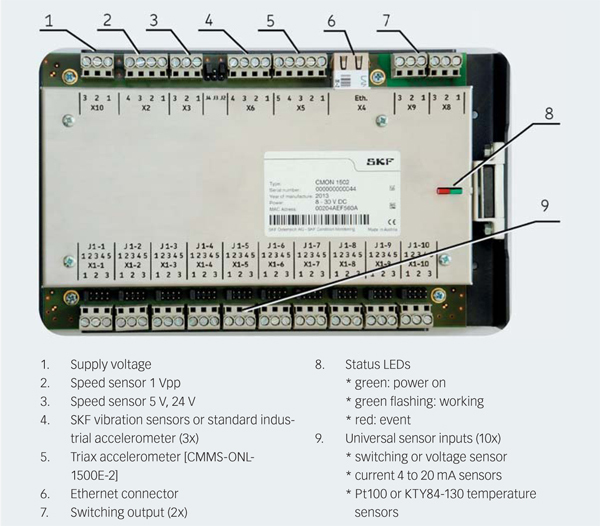 Each one of these 14 inputs can be configured in a separate way, and an independent limit for each sensor is also possible. logic sensors (binary switch, approximately switch, 0 to 1 switches). The system also has two digital relay outputs for an alarm or emergency stop on programmable limits on two independent channel bases. The same programmable limits are also used to report data and status to any configurable email addresses or email groups. A green LED on the electronics shows voltage status, and a red LED indicates recorded incident. 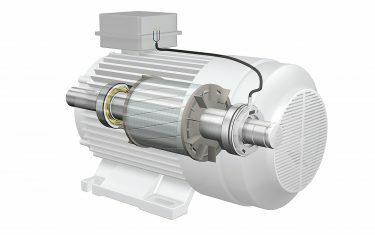 The SKF MTx is preferably installed inside the electrical cabinet for the machine tool (fig. 3), while the triax accelerometer should be connected as close as possible to the spindle head by using a M5 screw, magnet or special glue. The maximum supported cable length between SKF MTx electronics and accelerometer is 12 m. Because of the intelligent input circuit, it is possible to use already-existing sensors in parallel. Thus, it is often possible to use existing sensors from the observed system to start long-term data logging and crash detection. Analysis and data presentation are provided by the server and client software package, which has been developed utilizing a standard Ethernet (LAN) interface with DHCP/IP protocol. The IP addresses are automatically obtained by the DHCP server in the network. The server and client software package enables the customer to effectively manage and run multiple SKF MTx units via a PC, the customer’s network or even over the Internet. Each connected and configured sensor can be monitored online. With the server and client system, multiple active client sessions via Ethernet are possible. The software supports different access levels. Each application can easily be identified in the global network by a user-defined text string. Z-axis: Cumulative up spindle working time in days, hours, minutes, seconds and milliseconds; minimum, maximum and average of one temperature in °C. In total five different layers (matrices), formed from all connected and configured sensor signals, are supported and recorded in parallel if required. The lifetime of a matrix determines how long data is stored in one matrix before a new one is created. The lifetime of each recorded matrix can be adjusted according to the application from one day up to 400 days. A maximum of 15 matrices are supported for each layer. Export of matrix data to CSV format files is supported. If the maximum number of recorded matrix cells is reached, then matrix cells will be collected together. If a measured X-axis does not fit into the matrix, then within five seconds an event with extra cells is recorded with detailed history and an accurate date and time stamp of occurrence in order to verify the conditions. If the maximum of 15 events or 25 extra cells are recorded, then the X-axis of the matrix is refitted and the event having the smallest X-value will be merged into the matrix. If a Y-axis value does not fit into the current matrix, then the Y-axis is refitted. Export of events and extra cells to CSV format files is supported. If a recorded sensor value has exceeded the pre-configured limit, a logging event is recorded in the logging screen, where the maximum number of entries is 250. Another powerful feature is the raw data or sensor data logging. 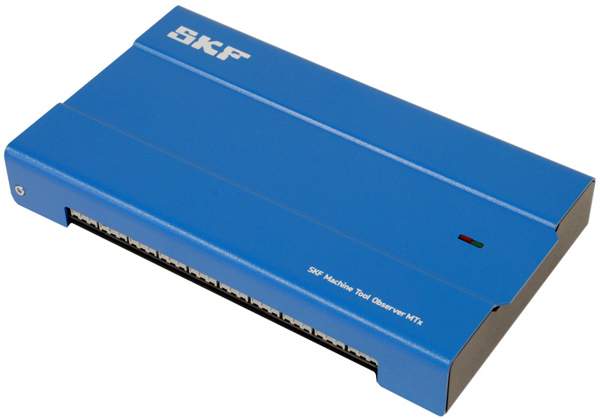 The SKF Machine Tool Observer MTx server software supports fully automatic logging and storage of all sensors signals on the server. So it is possible to log machine signals every one minute over months or years. 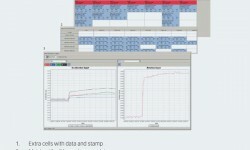 This is a very helpful function to create long-term trends and graphs to see the condition of the machine tool system. The SKF MTx can be used as a support tool for predictive and preventive maintenance tools. Fig. 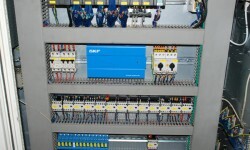 3 shows the SKF MTx mounted in an electrical cabinet. The SKF Machine Tool Observer MTx is an excellent choice for intensive machine tool industries, such as automotive and aerospace, and also the bearing industry. The freedom in the configuration and the choice of a wide range of different sensors makes it easy to adapt the system to many different customer applications for data logging, and the system can be used as a support for condition monitoring.